We are thrilled to announce the first six Associate Classes that we will be supporting from the start of 2017 across the boroughs of Havering, Hackney, Newham and Waltham Forest. The dance classes cover a range of dance styles including kathak, street, breaking and contemporary dance. Adrenalin Dance is running a contemporary dance class for 7-12 year olds at St John’s Church, Hackney Central on Tuesdays, 5:15-6:15pm. Jam Dance will be running a street and breaking class for 2–20 year olds at The Forest Row Centre in Romford every Saturday. Khyal Arts are running the kathak class Kathak Kids for 4-9 year olds at the Bhakti Yoga Centre in Walthamstow on Saturdays, 10:30 – 11:15am. 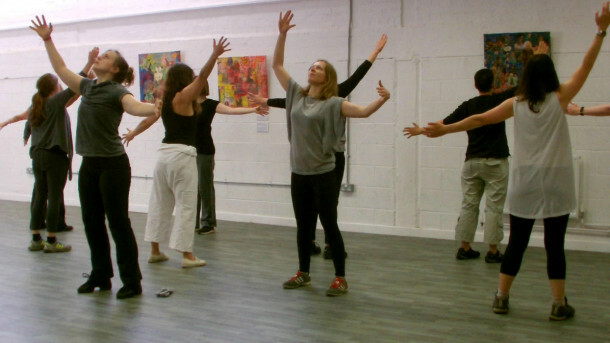 MoveE17 are running a contemporary dance class for adults aged 38-65 at the Gnome House, Walthamstow on Wednesdays, 7:30-9pm. Rain Crew are running a breaking class for 4-18 year olds at the Forest Gate Youth Centre on Wednesdays, 6-8pm. We will also be helping DashDotDance Youth Group set up a contemporary dance class for 11-18 year olds with physical and learning disabilities in the near future. Full class details are to be confirmed, check out the Classes section of our website for the latests updates on the Associate Class. We are aiming to support dance classes in all eight East London boroughs and will therefore be adding new companies to our Associate Class scheme on a termly basis. If you are independently running a dance class in East London and interested in our support you can find full details of how to apply here.